A four claw twist setting holds the 1.00 Carat Diamond, colour and clarity of your choice, securely above the Channel set shoulders which hold an additional 0.16cts of matching Round Brilliant cut Diamonds. The Diamond sits centrally above the elegantly twisted Diamond set shoulders that run across the top section of the court profile band. 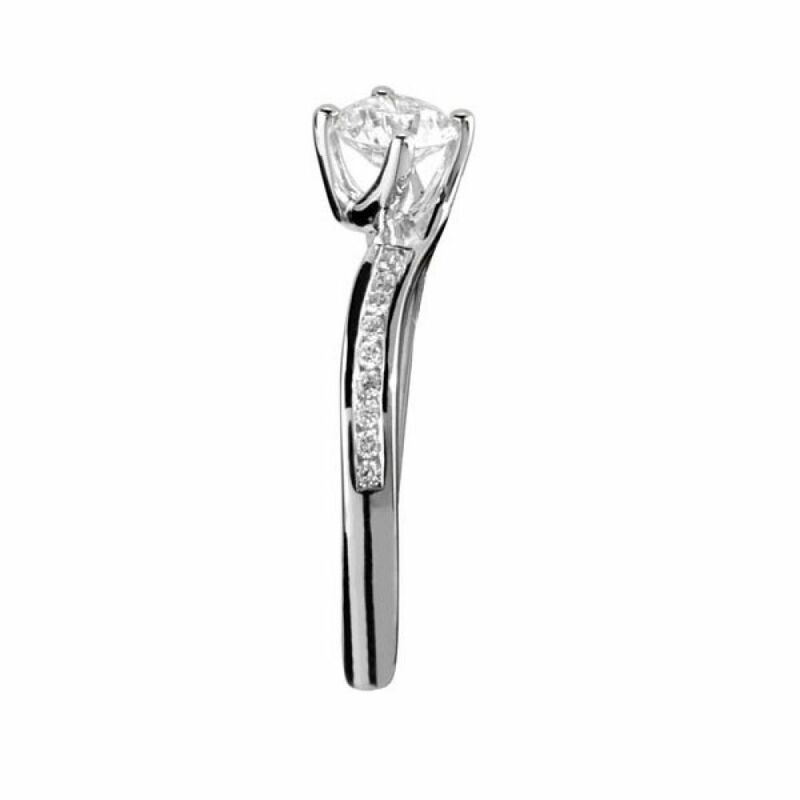 After choosing the Diamond to suit your requirements , we will meticulously set it into the luxurious Platinum ring mount we have here in stock (sizes L-L1/2). 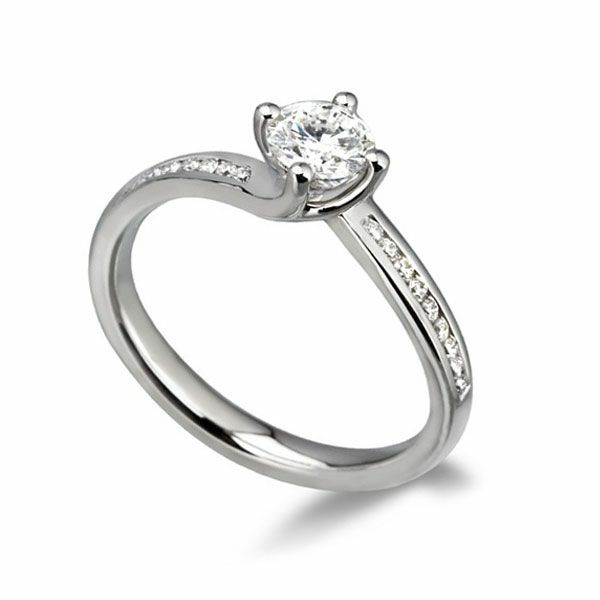 When your ring has been expertly set and meticulously polished, it will be delivered to you within approx 3 weeks. It will arrive beautifully presented, ready for that perfect moment.